Clients on three continents have enjoyed the deceptively fun and simple flow of a project under Laurie’s guidance. Laurie feels that the sustainability of any marketing strategy depends on the client having a sense of ownership. Thus, she begins with a discovery process, in which the individual character, goals and resources of the client are clarified. Laurie’s decades of consulting experience make her highly qualified to assist clients with internal organization to maximize their efficiency. Once the foundations are clarified, Laurie guides clients through a discovery process to help identify attributes that may not yet have been fully leveraged. Laurie’s innovative and creative thinking makes this a time of novel exploration and self-image expansion for her clients. This is also the time when new community and professional avenues to support the marketing goals are explored. Of course, innovation is only as valuable as the solutions it provides, and Laurie helps her clients refine their new strategies to maximize their gains. Implementation comes next, and many clients consider it one of the most exciting aspects of a new marketing or PR strategy. The client’s own teams and staff are fully engaged in the implementation process and a fresh energy invigorates everyone involved. When local or professional communities begin to respond and participate, the client’s rewards begin to be realized. Sustainability is key for Laurie, so clients can continue to self-direct further marketing and PR approaches. To that end, the client is always left with a game plan for the future, and the skills to implement that plan are cemented. Laurie remains available and is committed to mentoring and educating her clients as their needs and goals evolve. 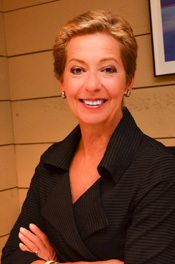 Laurie believes that each organization, individual, or project has their own uniquely valuable and marketable character. Her commitment is to address her clients’ needs with attention to their individuality. She facilitates the discovery and development of previously unaddressed attributes consistent with her clients’ needs, and helps each client grow their goals and evolve within their field. Laurie goes beyond the traditional forms of marketing and PR to bring her client’s ideals into practice. Her competitive strategies emphasize community-based engagement and enlivened attention to her client’s mission. Her results exceed financial expectations, are self-sustaining, and generate fresh enthusiasm within organizations and markets. To each project, Laurie brings decades of experience achieving pragmatic and cost effective results. The time-worn strategies of the marketing field are enlivened by her iconoclastic vision. Innovation is the key to her approach, invigorating the both the client’s internal culture as well as the community’s engagement with the client. An understated elegance characterizes her work, allowing the essence of the client’s own virtues to really stand out for their target audience. Laurie’s clients enjoy the highest level of service, from the novelty of her approach to the budget-wise and timely delivery of goals. Her international experience includes not only world class scientific and art organizations and corporations, but also individuals and fund-raisers with extremely local interests.The breadth of Laurie’s work informs each project. Her innovative approaches prove that the axiom, “think globally, act locally,” can be applied equally to international corporate marketing as to small scale environmental concerns.